If you want the cheapest auto insurance rates, it’s a good idea to car shop like your parents. In other words, don’t look at the sports car or the fancy vehicle with all the gadgets. Instead, think about the car your mother would have bought. Think minivan, hatchback or small SUV. You know, a nice, reliable automobile. The cheapest vehicles to insure are ones that have the lowest number of claims and the makes and models with the most reliable drivers. Insurers base rates partially on a type of vehicle’s claims record and drivers’ records. A sports car meant to go 80 mph will likely have more speeding tickets than a minivan used to transport children. It may also cost more to repair. Insurers set rates based on those factors. Vehicles like minivans, hatchbacks, and small SUVs often have children as passengers. In theory, that will likely mean the driver will be extra careful. Who drives that type of vehicle. If a car is popular with teen drivers and newer drivers, an insurer will likely charge higher rates for that vehicle. Safety features. Cars with lane departure alerts, back-up cameras, and automatic restraint systems should have fewer accidents and claims. Insurers, in turn, may offer lower rates on those vehicles. Repair costs. Vehicle repairs are more complicated than 20 years ago. Some cars cost more to repair than others. A good rule of thumb is that a fancier car will have higher repair costs. You can also expect to pay higher auto insurance rates on fancier vehicles. Sticker price. More expensive vehicles will likely cost you more to insure. If the vehicle gets destroyed, the insurer will have to pay a hefty claim. More repair costs mean higher rates for you. Those factors are how the vehicle affects your rates. Other factors include your driving record, where you live, your gender and age, and your credit history. Buy a vehicle with lower car insurance rates. Before making the purchase, get quotes from multiple insurance companies to see the cost of car insurance. It’s wise to have a backup vehicle choice and get quotes from that car, too. Then, you’re able to compare the rates and figure out which one to purchase. Ask about discounts. Insurers offer many discounts. For instance, you can get money off your policy if you haven’t filed a claim in years or if you’ve been a customer for a long time. There are also discounts for good students, new customers, low mileage, mature drivers, and multi policies. Bundle your auto and home policies. One of the biggest discounts comes from having your auto and home policies from the same insurer. It’s called a bundled discount and is an easy way to shave money off your costs. Pay in full. If you can swing it, pay the year’s worth of auto insurance costs at once. Insurers usually provide a break on rates if you pay upfront. Increase your deductible. Raising your policy’s deductible can save you hundreds. Let’s look at two examples. Increasing your deductible from $250 to $500 saves an average of $167; increasing it from $500 to $1,000 saves $201 on average. If you increase your deductible, make sure you have money set aside to cover the deductible if you need to file a claim. Shop around. It’s a smart idea to compare multiple auto insurance company’s rates. Don’t just go with the one you’ve always used or the company your family has had for decades. Instead, figure out what coverage you want and get rates from at least three different insurers. Check into the companies to make sure you’re comfortable with them before signing up for a policy. Your vehicle influences auto insurance rates. Before forking over tens of thousands on a new car, make sure you know how much you’ll have to pay for auto insurance. 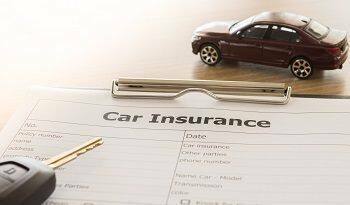 If your most important car-purchasing goal is to buy the vehicle with the cheapest car insurance rates, review the list earlier on the page and find the right vehicle for you. 0 Responses to "Which cars are the cheapest to insure?"